The team of hair restoration specialists at True & Dorin are results-oriented, which is one reason why so many people in New York and along the east coast put their trust in us. We take time with hairline design and restoration surgery planning, which allows us to achieve great results with patients experiencing different levels of hair loss. When it comes to achieving the best possible results in hair restoration, careful planning is crucial. By focusing a lot on the initial design of the hairline before even harvesting follicular unites, we can give patients a good idea about what the final results will be like and what they can expect during the process. Without planning, it's impossible to create a natural hairline during the restoration process. What Defines a Natural Hairline? It seems obvious, but a natural hairline is one that looks as if you haven't undergone a hair transplant or any sort of procedure to promote the growth of new hair. It takes a number of years of experience to really take into account the patient's facial aesthetics, their racial and ethnic background, and to make judgment calls with regard to the patient's current age and what would look most natural given the patient's age. The most important part of designing a patient’s hairline is consulting old photos of the patient before balding, hair loss, or hair thinning. This will help determine where the hairline began and where it is now. When restoring the hair to the patient's crown, old photos are always quite helpful in the process. In addition to photos, many hair restoration specialists will also consider the patient's racial background. In a number of cases, people of different ethnic groups have unique hairlines that are part of their genetic background. By considering old photos as well as the patient's ethnic background, the location of the new hairline as well as the shape of the hairline can be considered. 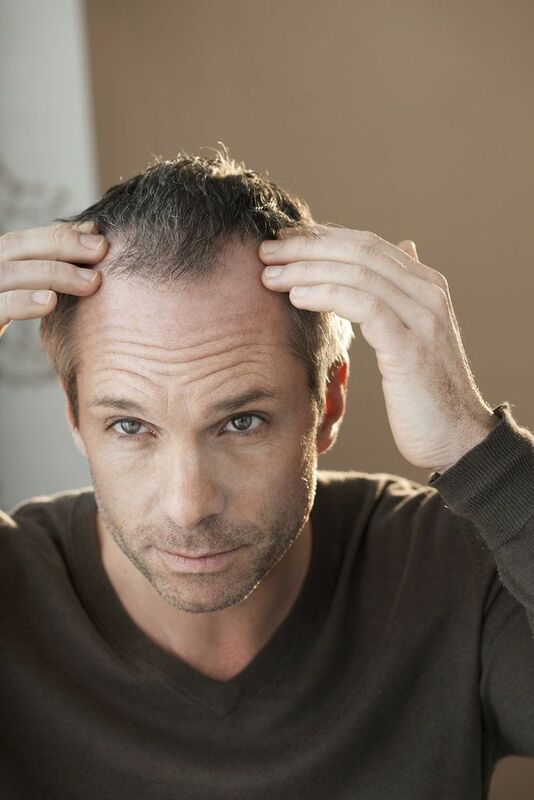 As people age, they may occasionally lose some hair or experience some degree of thinning. Sometimes ensuring the most natural results means creating a subtle illusion of slight recession even though we are placing hair grafts. This ultimately comes down to an issue of hair density and varying the density in different parts of the scalp for the most ideal results. As we take all of the above as well as other factors into consideration, we will make sure a patient is well aware of this process. We want to make sure patients are satisfied with the work we do, and the only way to do that is to keep them in the know. If you would like to learn more about creating a natural hairline and achieving excellent results through hair restoration treatment, be sure to contact our team of hair restoration specialists today. The team at True & Dorin looks forward to your visit and helping you achieve all of your aesthetic goals.